Explore unexpected combinations like lavender and dandelion flower muffins and Lemon Roasted Asparagus with Baked Goat Cheese. 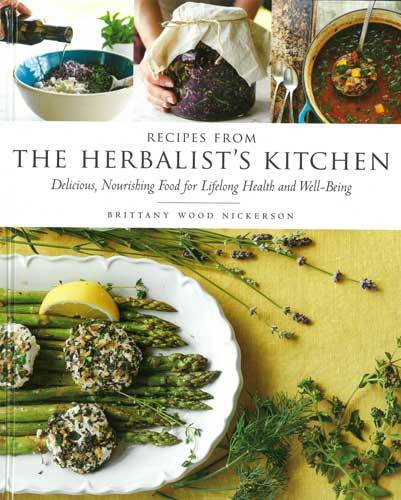 Trained in herbal medicine, Brittany Wood Nickerson has been using her background in the kitchen to create wholesome, home-cooked recipes for the last 10 years.Nickerson offers fascinating insights into the healing properties of herbs and shares 110 of her original recipes. Excite your palate with these delicious entrees, drinks, snacks, and desserts.